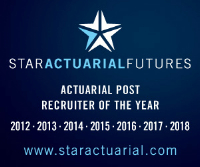 Our client is seeking a nearly or newly qualified pricing actuary to join their team of 4 in London. The new person will report directly to the head of pricing and have management responsibilities for two junior actuarial students. The role will involve extensive interaction with other areas of the business. The team is looking to increase to 8 in the next 4 years. Once this role is filled, the intention is to hire from the bottom up, and as such has excellent potential for progression within the company. Excellent communication and interpersonal skills are required, as well as Lloyd's or London market experience in pricing.